What Is The Significance of the Bosnian Pyramid Discoveries!!! Eric’s 2-Cents: I was really fascinated by this Pyramid recently found in Bosnia. One of the most interesting comments made about it is that they still can measure power readings at the top of this pyramid!!! WHAT!!!??? POWER READINGS!!! Well, enjoy, someday I will revise this post from my own personal voyage to this unbelievable pyramid. In 2005 work was begun on this project and construction companies and geologists were paid to do core drilling and geo-morphological analysis. We then announced to the world, at the press conference, that the first pyramids in Europe had been discovered. Shortly thereafter we established the non-profit Archaeological Park: Bosnian Pyramid of the Sun Foundation and since that time the pyramid investigations in Bosnia have become the world’s largest inter-disciplinary archaeological project. We have spent over 340.000 man-hours in archaeological excavation, sample testing and radiocarbon dating in the period from 2005 to 2011. We determined that the Bosnian Valley of the Pyramids consists of five pyramids discovered to date which I named: The Bosnian Pyramids of the Sun, Moon, Dragon, Mother Earth and Love. The site also includes a tumulus complex and a huge underground labyrinth. 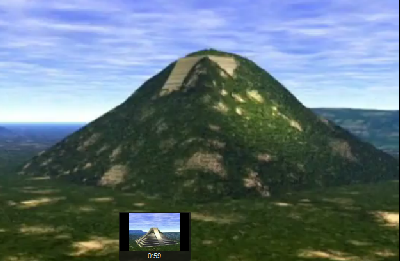 The site includes the largest pyramid structure in the world—The Bosnian Pyramid of the Sun is older and with its height of over 220 meters is much higher than the Great Pyramid of Egypt (147 meters). The pyramids are covered by soil which is, according to the State Institute for Agro-pedology, approximately 12,000 years old. Radiocarbon dating from the paved terrace on Bosnian Pyramid of the Moon, performed by Institute of Physics of Silesian Institute of Technology from Gliwice (Poland) confirmed that terrace was built 10.350 years ago (+/- 50 years). These finding confirm that the Bosnian pyramids are also the oldest known pyramids on the planet. Two hundred years of Egyptology has not produced a satisfactory answer to the question of what the real purpose was for the oldest and most superior pyramids. In only six years, our research in Bosnia has applied inter-disciplinary scientific methods, to look at this complex through the physical, energetic and spiritual dimensions. We have had pioneering results which affects the entire sphere of knowledge and Pyramid Science. Our history is changing with each new discovery. Note: There is still final research needed on the validity of the Pyramids. They may help prove alien intervention because they were designed to facilitate the landing of UFOs on top the pyramids and provide them with electromagnetic energy or high intensity pyramidal energy. Ten thousand years ago humans were thought to be primitives and unable to organize to build pyramids or cities.